Below is an inventory report that was published in China last week. As you can see the information indicates Chinas sow inventory has decreased 5 million in the last twelve months. In the last 18 months the herd has decreased about 6 million sows or about the size of the total U.S. sow herd. It doesn’t take an ag-economist to see the massive liquidation ongoing in Chinas swine sector. Since the summer of 2018 when African Swine Fever (ASF) was detected there has been continued liquidation. As you can see on the graph December was lowest month and liquidation continues. A year ago cull sows were selling in China for 10 rmb/kg (67₵ U.S. lb.) now they are going for 3.5 rmb/kg (24₵ U.S. lb.) How often have we ever seen sows at such a huge discount to market hogs? Last week China average price markets 13.87 rmb/kg (93.14₵ U.S. lb.) 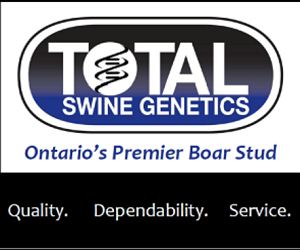 versus 3.5 rmb/kg cull sows (24₵ U.S. lb.). Obviously the price is so low relative to market hogs due to the massive level of sow head liquidation. The Level of liquidation in China that has happened and is continuing is unprecedented. We expect from the information we hear from inside China that another 3-5 million sows will be liquidated due to African Swine Fever (ASF) and its related issues. When the dust settles China could very well decreased 10 million sows in two years. 10 million sows would effectively decrease Chinas production by 150 million market hogs per year. The key point is there will be no substantial increase in pork imports until the liquidation stops as the liquidation continues to put pork internally in Chinese market. At some point China will increase pork imports. Europe, Brazil, and North America will benefit as they are the major exporting areas. Prices are effected by supply, demand and market sentiment. When PED struck the U.S. a 6% decrease in pigs created the highest hog prices in U.S. history. We expect at some point China will step in and purchase pork to fill the hole created by liquidation. When it does it’s not unfathomable to see the same effects of what PED did. Record prices. The world media has not yet picked up on the shortage of pork coming. Domestic Foodservice, retailers and other importers will at some point be faced with competing with pork prices available in the China export market. When we observe the multiple down days last week in lean hog futures we realize the “smart money” has little comprehension of what a Black Swan Event is. If the U.S. and global hog prices hit record highs after China liquidation finally ends we will not be surprised. 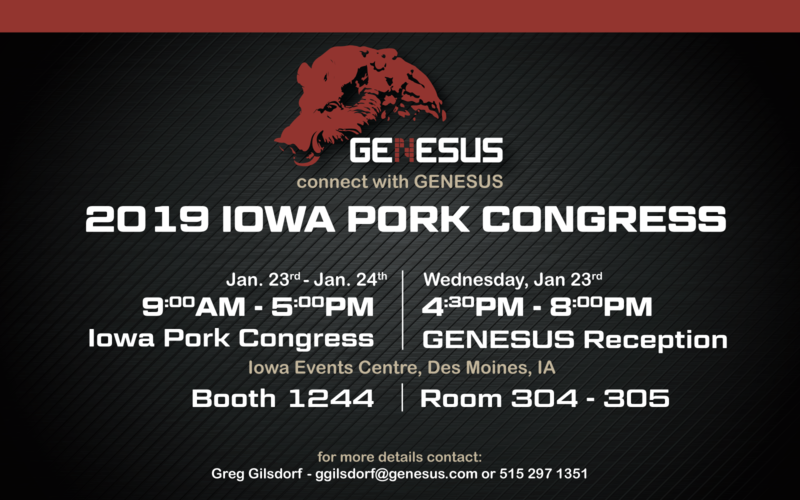 This coming week we will be at the Iowa Pork Congress. Visit us at the Genesus Exhibition and or come to Genesus Reception- Wednesday late afternoon. We enjoy these events. It’s where we get a sense of the reality and futures of our industry.